Founded in 1997 and headquartered in Albuquerque, New Mexico, The Garrity Group specializes in media relations, issue management, marketing, and online communication. 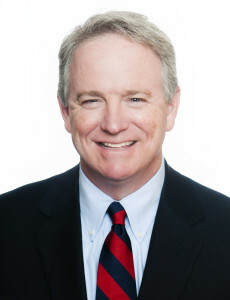 Issue management and crisis communication is a key area of expertise for The Garrity Group and President Tom Garrity, who has navigated complicated issues for clients in the healthcare, utilities and nonprofit sectors. The firm excels at developing strategic communication plans for clients. The Garrity Group’s client successes stem from unparalleled knowledge, relationships and connections in New Mexico. The Garrity Perception Survey (GPS) helps to provide analysis of the social, political, cultural and economic landscape as it impacts clients. It provides insight on socio-economic and geographic areas of support for specific industries/institutions and people/ professions. The firm utilizes a four-step public relations process of research, planning, execution and evaluation that serves as the framework for a successful communication plan, while providing clients with a clear and concise understanding of the firm’s activities.